WASHINGTON — A local nightclub is hosting a benefit to help victims of the Paris terror attacks. Thirteen DJs will spin French House music at on three floors at D.C.’s Rock and Roll Hotel on H Street in Northeast from 5 p.m. Sunday, Nov. 22 until 1 a.m. Monday. A donation of at least $5 gets you in the door, and will support the French disaster relief organization Secours Populaire. “One hundred percent of all ticket sales and donations, and 10 percent of bar sales are going to go to this charity,” Steve Lambert, co-owner and talent buyer of Rock & Roll Hotel tells WTOP. Even if you can’t come to the show, you can still make a donation online. Lambert says the attack on a Paris concert hall hit very close to home for him and many others in the music industry, and he put together the benefit in a span of about 48 hours. 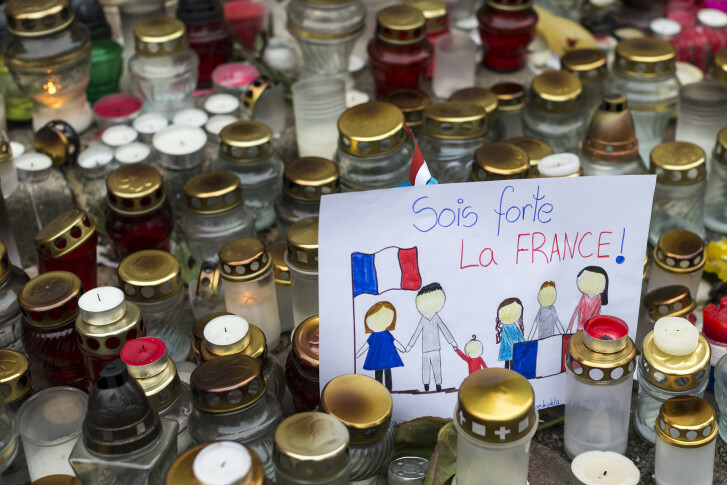 The Nov. 13 attacks in Paris killed 129 people and wounded hundreds. Although he calls the attack at the Bataclan “unbelievable,” he says we’re in a new age. Has security changed at his club since the Paris attacks? “In terms of doing something differently, no we have not put anything in place because safety has always been important to us,” Lambert says. He says they have a large security team that checks bags every night. “We have the well-lit and maintained exit signs, we have twice the number of [required] fire extinguishers, we have a 30-camera security camera system at every angle on all the floors. We’ve done what we can do to make the environment safe for everybody,” he adds. The owner of another D.C. music venue, Black Cat, says it is always changing security at the venue. Dante Ferrando tells WTOP they alter their approach depending on the situation.